A welcome change of pace at the end of summer. Family Camp is a great time to be at camp, serving as family fun facilitators to incredible families with children and adults of all ages. Echo staff (past, present, and future), beautiful late summer days, and a slightly slower pace make for a great two weeks. The munchkins line up for a heated round of "running bases". 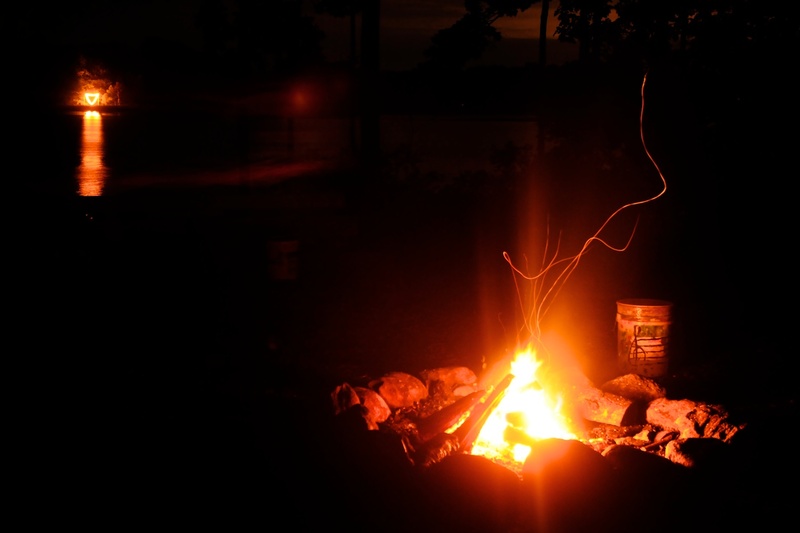 The burning triangle wraps up another campfire with body, mind, and spirit.